Remember when I said we were 99% sure we were going to Normandy during the first week of February? I will spare you the goriest of the details, but let’s just say they involve an ugly incident with a car rental agency, a train mishap, and a little bit of hysteria thrown in for good measure. As a result, the Normandy trip has been postponed until further notice, and I am hoping that further notice will be this Fall, when I have been assured, Normandy will still be there. So, what’s a couple who promised their Basset Hound a trip to France supposed to do? Look up last minute car rental deals from Amsterdam, that’s what. One frantic web search lead to another, and now we are taking a road trip through the Ardennes. The Ardennes? What is it? Well, it’s a hilly, wooded area in Belgium, but that’s not important right now. What is important is that we were supposed to go to the Ardennes last fall for a few days, but the trip got cancelled, so, it’s fitting that are we are going to take an Ardennes road trip now. 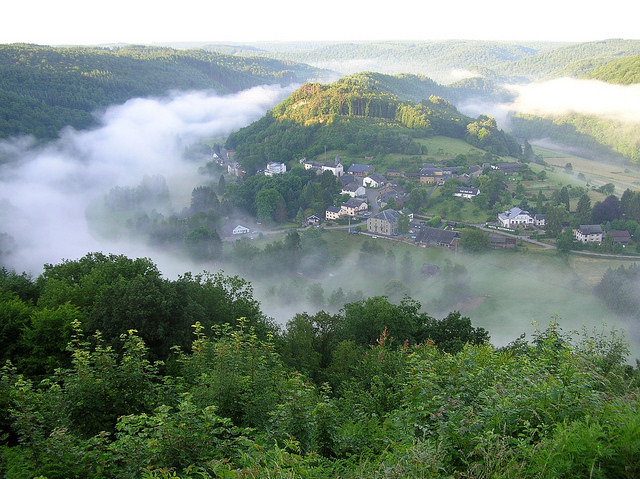 The Ardennes are known for forested rolling hills, the meandering Muese River and her voluptuous valleys, and according to credible sources on the internet, pretty towns. 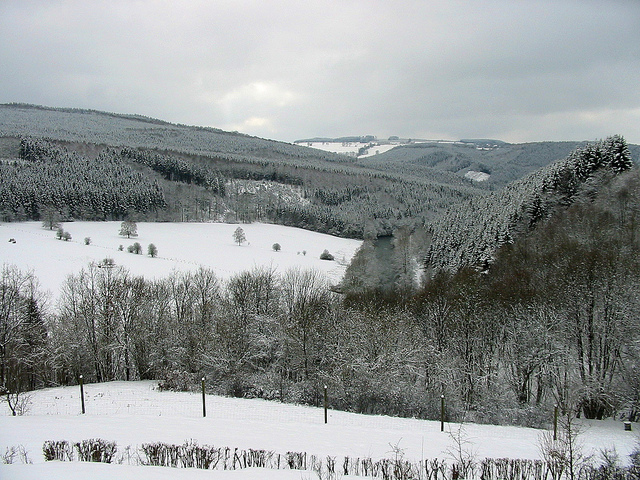 Most of the Ardennes is in Belgium, but the Ardennes also covers parts of France, Luxembourg, and Germany as well. The whole area has been hit with a fresh blanket of snow in recent days too, so it should be really pretty to look at and maybe even take some pictures of this week. Gameplan: The general plan is to leave Amsterdam and make our way to Luxembourg and spend some time experiencing one of Europe’s least talked about corners. 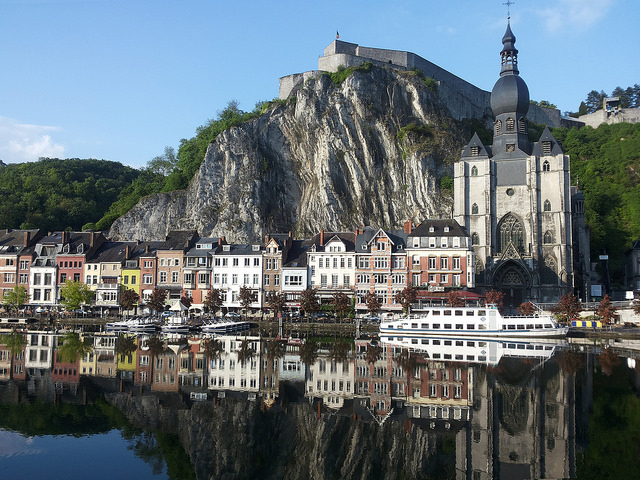 The next day, we plan to double back into Belgium or France, admiring the riverside towns along the way, while stopping for lunches at brasseries stuffing our faces with some frites, beer, and whatever else they have down there. On the last day of our Ardennes road trip, we will either come back home to Amsterdam or spend a night in a Dutch town we haven’t seen yet. Along the way, it would sure be nice to visit a Belgian Trappist brewery or see some history about the Ardennes’ vital role in both World War I & II as well. This is all assuming the deal we got from the rental car agency that seemed way too good to be true isn’t. Tuning In: Follow @WorldwideScott on Twitter and my Facebook page for live game updates and if you aren’t on those sites, and you still want to follow the action, click here and here and then just sit there hitting reload over and over on your browser all day.